Filters | Strainers | High Pressure Strainers | CH Bull Co.
Debris flowing through a liquid or gas pipeline can reduce flow rates, damage equipment, and affect your bottom line. To keep your pipelines clear, you need high quality filters and/or strainers. And if you need strainers or filters, you need C.H. Bull. We have the right filtration product for nearly any liquid or gas flow application. What’s the difference between a strainer and a filter? Both do the same job, catching debris as it passes through a pipeline, but which product should you use for your application? C.H. Bull offers a huge selection of high performance strainers and filters from NAFCO and Eaton, as well as filter housings. We can also provide custom filters and strainers made to your specifications. Read on to find the right filtration product for your unique needs. Strainers are used to strain larger solids out of liquid flows and gross solids out of gas streams. Strainers can catch debris as small as 50 microns. Filtration level varies by model—not all strainers are designed to filter solids that small. C.H. 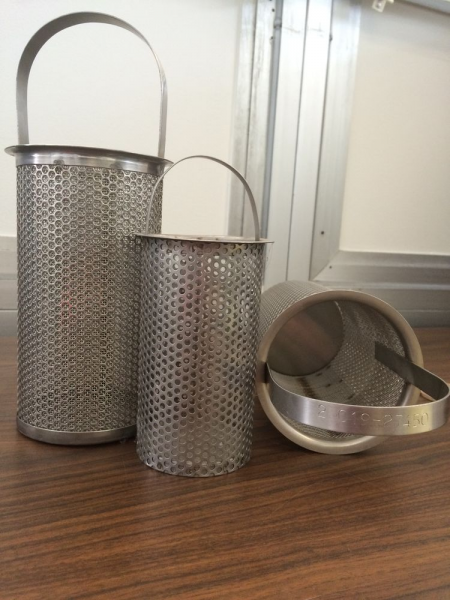 Bull offers simplex strainers, duplex strainers, automatic strainers, code strainers, Y strainers, high pressure strainers, and self-cleaning strainers to meet our customers’ needs. Simplex strainers are general purpose strainers for gas or liquid flow systems. Automatic strainers are designed for applications where the flow cannot be interrupted; duplex strainers are ideal for applications where the flow cannot be interrupted and there are multiple strainer housings in the system. Code strainers are typically employed as temporary filters for pipeline startup applications. Y strainers are low-cost solutions for catching light debris. High pressure strainers are available to handle up to 1000 PSI (pressure ratings vary by model). Self-cleaning strainers are, as the name implies, designed to be self-cleaning, with no user intervention. We have strainers designed for to handle low flow rates, strainers that can accommodate high flow rates up to 200 gpm or more, and everything in between. Connections from 1/2" to 72” are available; larger connection are available in custom models. Available in a range of materials, including carbon steel, stainless steel, cast iron, and bronze, these strainers are built to withstand even the toughest work environments. We also offer a range of steam separators for steam applications. Filters are designed for gas or liquid flow applications requiring filtration of very, very small solids and debris. Our filters range from the 50-micron level on down to sub-micron filtration. As with strainers, filtration levels vary by model. We offer a wide variety of filter types to match our customers’ requirements. We offer cartridge filters, bag filters, high pressure filters, and more, including custom filters. Cartridge filters provide an expanded surface area in a smaller housing for improved filtration in less space. 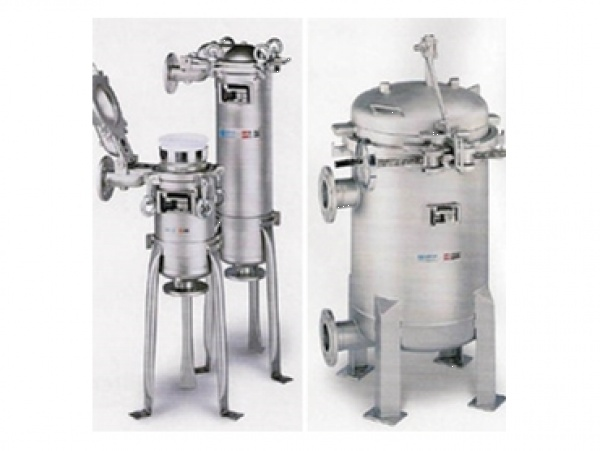 Bag filters are designed to handle large quantities of solids in liquid flows, and are easy to change. High pressure filters can accommodate up to 1000 psi (pressure ratings vary by model). C.H. Bull can design and manufacture custom strainers and custom filters to meet the unique specifications of your gas or liquid pipeline system. We will work with you to determine the right material of construction, pressure requirements, input/output port sizes, and port configuration for your application. Whatever your application or performance requirements, C.H. Bull has the right strainer or filter for your needs. Request a quote today, or contact us for more information on our high quality, high performance filtration products.